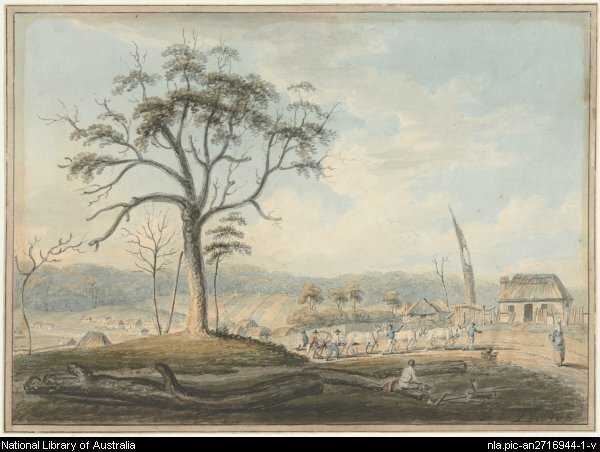 Parramatta Heritage: The Man They Couldn't Hang: Joseph Samuel. Joseph Samuel lived a very eventful but short life. He arrived in Sydney in 1801 on the Minorca/Canada after being sentenced to seven years in England for larceny at the age of fourteen in 1795. His life in Sydney was one of petty crime and unfortunate associations. The events leading up to his attempted hanging included a large cast of characters and involved a complex series of events that included a robbery and a grisly murder. On the night of 26th August 1803 Constable Joseph Luker, while off duty, was investigating a report made by a Mrs Mary Breeze regarding a robbery at her home. The thieves had ransacked her home and stolen a desk, 24 guineas, silver dollars and small change. Mr Luker had reason to believe that the perpetrators of this crime would gather at the home of Constable Issac Simmons and Mr Joseph Samuel. Both men were possible suspects to the crime. Constable Simmons was known for brutal behaviour and association with the criminal element. Mr Luker had decided to investigate the scrub behind Mrs Breezes home while off duty that night and by morning he was a “breathless corpse, shockingly mangled, and the guard of his cutlass buried in his brain”. Close to his body was the desk from Mrs Breeze’s house and a blood stained wheel. The brutality of the murder had the small community in turmoil. The military was called in to search for the assassins. After searching the local area, a barrow without its wheel was found in the house where Mr Simmons and Samuel were lodging. Witnesses then told the police that they had seen both men and others at the end of the Mrs Breeze’s garden the night before. These investigations into the murder and the robbery eventually led to Simmons and while implicated in the crime he was eventually let go. Instead it was Samuel who confessed to the robbery and was sentenced to hang. The day of Joseph Samuel’s hanging was the 26 September 1803 at Brickfield Hill, and it was a day that nobody watching would ever forget. That morning Joseph Samuel and another man James Hardwicke were bought to the gallows near Brickfield Hill. Both men were prepared for the event by Parramatta's Reverend Samuel Marsden and Joseph Marcus, who would act as Australia’s first rabbi in years to come. It was Reverend Marsden’s role to ask for a confession from the condemned men, and it was here that the drama began. When asked for information about the murder of Constable Luker, Joseph Samuel gave a dramatic statement saying that Simmons had confessed to the crime in their cell. Simmons who was at the gallows to witness the execution of his ‘friend’ stated his innocence but this angered the crowd who had to be held back by the military. After Samuel’s accusations Hardwicke was pardoned leaving Samuel alone at the gallows. Samuel then devoted his last few moments to prayer; the call was given to move the cart away. As the cart moved Samuel slipped into unconsciousness and the rope snapped, leaving him face down on the ground. His body was then moved back up to the cart, another rope was tied and the noose placed over his head but this time the rope unraveled This caused some in the crowd to protest his innocence. The hangman then hurried to tie the rope again, and again the rope snapped. Now the crowed was in an uproar, and called for Governor King to give Samuel a reprieve. The Provost Marshal galloped away and quickly the half strangled Joseph Samuel was given a pardon, with the Governor declaring divine intervention. Joseph Samuel recovered but his luck seemed to have been used up. He was sent to Kings Town (Newcastle) to work in the mines and then in 1806 he and seven other men escaped the settlement in a boat but was declared drowned and his body never found. As an interesting aside the ropes that were used in the attempted hanging were tested to the standard of the day and were found to be able to withstand a weight of 132kg each. 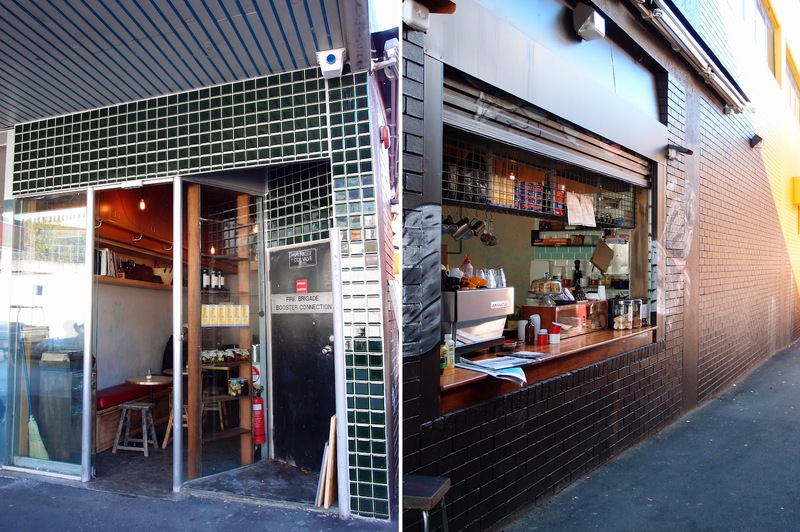 Today in 2013 in Parramatta there is a cafe called the Three Ropes; named after the notorious ‘Man who could not be hanged’ Joseph Samuel. They do a very good latte. The Sydney Morning Herald: Saturday 26th Sept. 1953. Very interesting Emma. When I was growing up in the 1940s and I said my name, John Lee, everybody would say "the man they couldn't hang"....was there a John Lee with a similar experience to Jospeh Samuel?